This should become a holiday favorite. The atmosphere is perfect, the story is a delight. You’ll want to live inside this House for a while. This seems like a cliché but a lot of people have not read this book. I am still in love with the moment in which Dickens professes to be a spirit standing beside you, the reader. Awesome in both senses of the word! Reading this book as a kid inspired me to write The Toymaker’s Apprentice. This version is fantastic because it mixes Sendak’s weirdly wonderful art with Hoffman’s wonderfully weird words. It’s beautiful, exciting, bizarre and just plain fun—every childhood will benefit from a dose of odd wonder. This second book in the Dark is Rising Sequence. 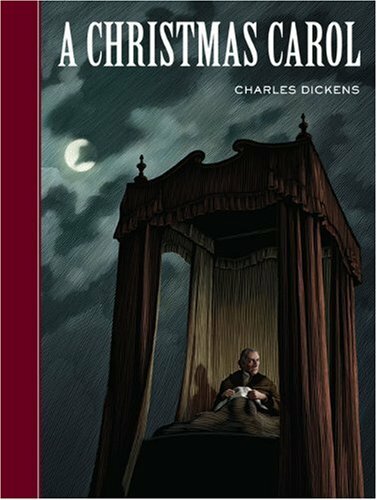 It takes place at Christmas and it’s haunting and wonderful. The use of Good King Wenceslas as a metaphor and a spell is powerful indeed. When my nieces and nephew were little, I bought a version of this book from the Hallmark store that allowed me to record my voice reading each page aloud. They loved it. To this day, at Christmas, they will pull it out and listen (even if I’m sitting right there). While the poem itself is a classic, the combination of the story and my voice is pure holiday magic. Sherri L. Smith is the author of several novels for young adults, including the critically acclaimed Flygirl and Orleans. She lives in Los Angeles, California. Publisher’s Synopsis: A gorgeously imagined Nutcracker retelling from award-winning author making her middle-grade debut. Follow all the stops on the tour! Sherri L. Smith, author of The Toymaker’s Apprentice, selected these five holiday book favorites. Discover more articles on The Children’s Book Review tagged with Family Favorites, Anna Kang and Christopher Weyant.